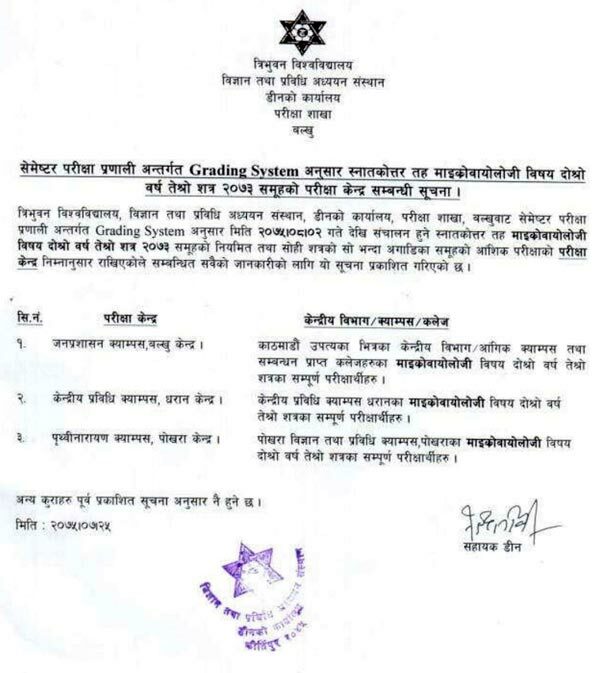 Tribhuvan University, Institute of Science and Technology(TUIoST), Office of the Dean, Examination Center, Balkhu has published the examination center of M. Sc. Microbiology Second Year Third Semester 2073 (regular and partial). The examination starts from Mangsir 02, 2075 (November 18, 2018) onwards.